I love trying new cuts and colors and my hair definately needed an update for fall. I decided to go with a lovely shade of Burgandy Black mixed with Sweet Ruby. Everytime I use a burgandy shade it seems to fade after a couple of washes and I lose that lovely purple tone. I tried this new product I discovered recently for those with naturally dark hair. My hair is coarse and thick, with naturally brown black shade. 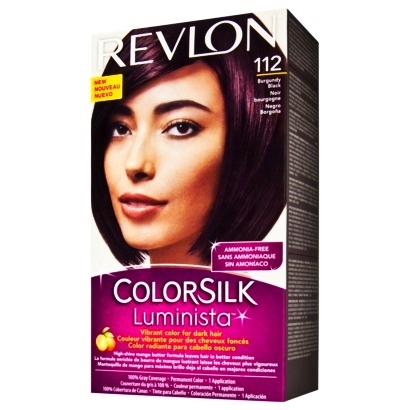 As you might know, I color and style my hair a lot, this color worked very well and at only the cost of $3.99!! The color saturated my roots to my ends leaving a vibrant and noticable burgandy black tone that I expected. I colored my dark brown dyed hair! I wanted to add something a little different so I bleached a few sections of my hair and applied Sweet Ruby from Splat to add the desired effect I was going for. This product works very easily and quickly. It costs between $7.99 and $12.99, you can find sales and coupons. 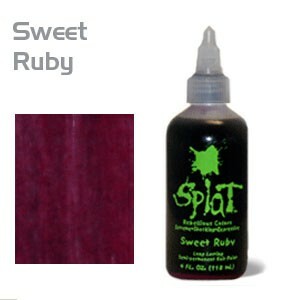 I like Splat, it lasts long and gives great color payout. I want to try all their colors.